The Museum of Modern Art unveiled on Wednesday a sweeping redesign of its Midtown building, featuring a retractable glass wall, new gallery space and the opening of its entire first floor, including the beloved sculpture garden, free to the public. It is unclear whether this grand, ambitious plan will be enough to quell protests over a long-contemplated and controversial part of the museum’s overhaul: the razing of its next-door neighbor on West 53rd Street, the noteworthy, if idiosyncratic, former home of the American Folk Art Museum. MoMA announced in April that it planned to demolish the folk museum, despite the building’s well-regarded designers and its striking bronze facade. 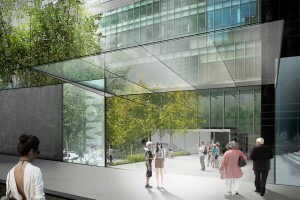 After protests from architects, urban planners and preservationists, MoMA officials said they would review that decision. “It’s a very nice gesture of a kind of new ethos: To make publicly accessible, unticketed space that is attractive and has cultural programming,” Glenn D. Lowry, MoMA’s director, said. The architects of the folk museum, Tod Williams and Billie Tsien, protested the most recent decision in a statement. 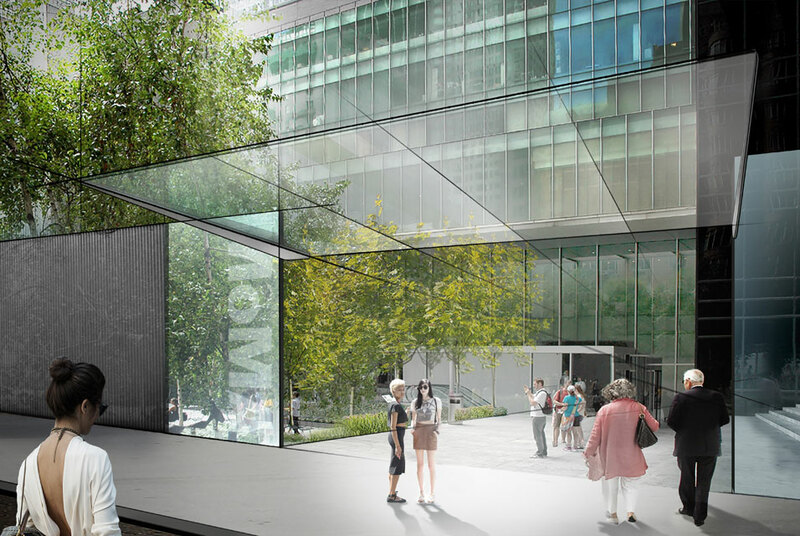 MoMA plans to start construction this spring or summer and to finish the project in 2018 or 2019. Despite the plan’s broad scope, the museum said it could not yet provide a budget, making the viability of the redesign hard to measure.